Entering an imaginary world through reading is an enthralling experience, both as a child and as an adult. Many parents, intellectuals and academics bestow the classics onto children in a bid to get them interested in reading. Unfortunately, in policing the book shelves, a great chunk of fantasy fiction gets pooh-poohed as inappropriate reading material. While a lifetime of fantasy fiction might not be a rounded approach to intellectual maturity, getting kids interested in reading at least something is half the battle. There’s an element of freedom reading fantasy fiction and escapism is no bad thing, providing we don’t have our noses stuck permanently in a fantasy world. Here are some of the many good reasons why children should be encouraged to read fantasy fiction. Imagining helps to develop understanding and empathy by enabling the reader to see the world from another perspective. Reading fiction helps children to develop their empathy skills and enables them to engage with coping strategies for intense emotions. In our busy, modern world it’s easy for kids to be dominated by an unrelenting schedule of school, after school clubs and after school-club activities. The constant merry-go-round of children’s activities may have its merits, but some downtime for kids is equally important. Disengaging from stress is becoming more and more difficult for children, especially when down-time involves a tech device. Research by the University of Sussex in 2009 concluded that reading reduces stress. It’s a means of escapism, and yes it could be argued that games consoles provide the same thing. The fact is some research has shown that gaming increases heart rate, while studies on the effects of reading on heart rate show the exact opposite. Reading really does lower stress levels. It’s great to watch a movie or play an interactive game, but little imagination is required when everything is spoon fed. 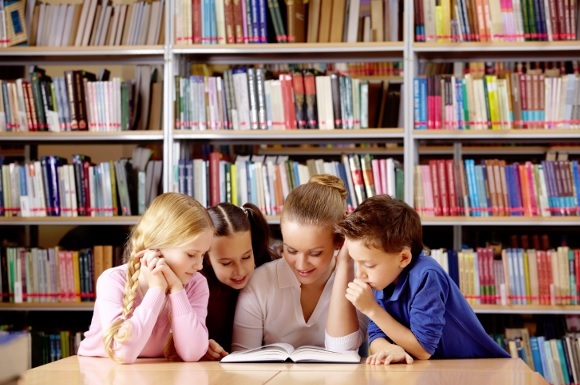 Reading enables children to conjure up the appearance of characters and settings in their minds. While led by the narrative, there’s still an element of creativity and imagination. Reading helps to foster creativity, curiosity and an active imagination. It also helps to create a passion for story-telling. Reading fantasy fiction allows children to imagine situations that are a far cry from everyday, ordinary life. It also encourages children to question what they are reading. How many of us have checked our own wardrobes for a secret door after reading C.S. Lewis’s The Lion, The Witch and The Wardrobe. The process of questioning fantasy helps with the development of problem solving skills. There’s no doubt that children today spend relatively little time alone compared to say 20 years ago. So much of our children’s free time is filled with organised activities or plugged with TV, computer games and even social media. While many parents do read to their children, once a child has developed reading skills, reading alone should definitely be encouraged. While it is of course important for children to develop social skills, developing skills to be alone is of equal importance. If kids experience being happy on their own, they are less likely to feel they can only be happy by forming attachments with other people or external things.